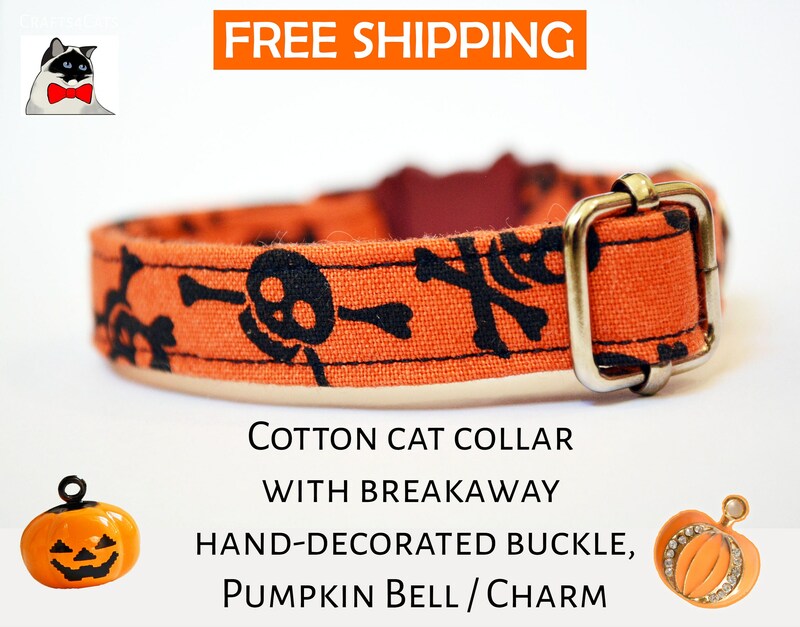 'Bon-a-Skull' kitten and cat collar - a Halloween edition cotton cat collars for the feline fashionistas. 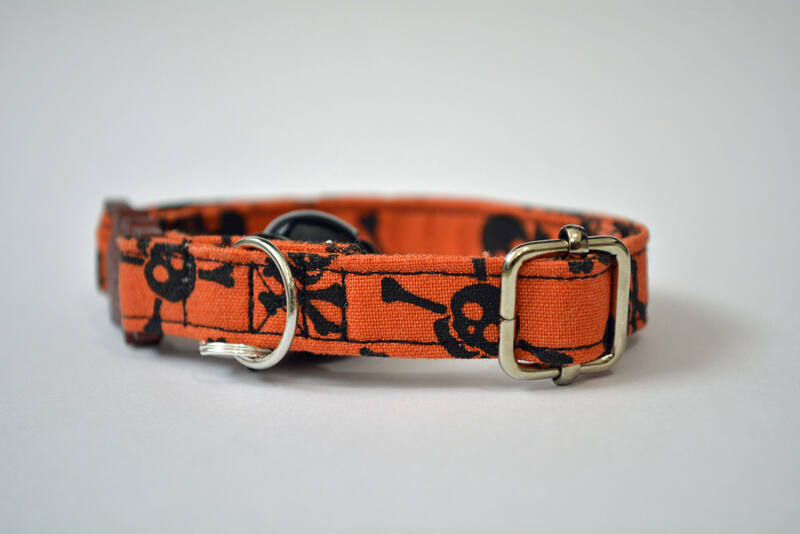 - A collar with a breakaway buckle. 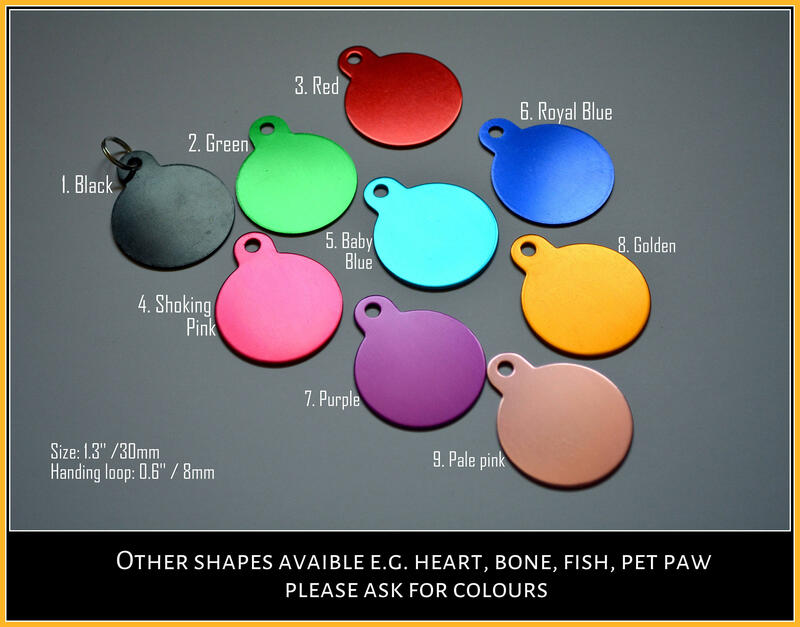 I have buckles in many colours - yellow, blue, white, black (smiling cat). - A metal length adjuster. 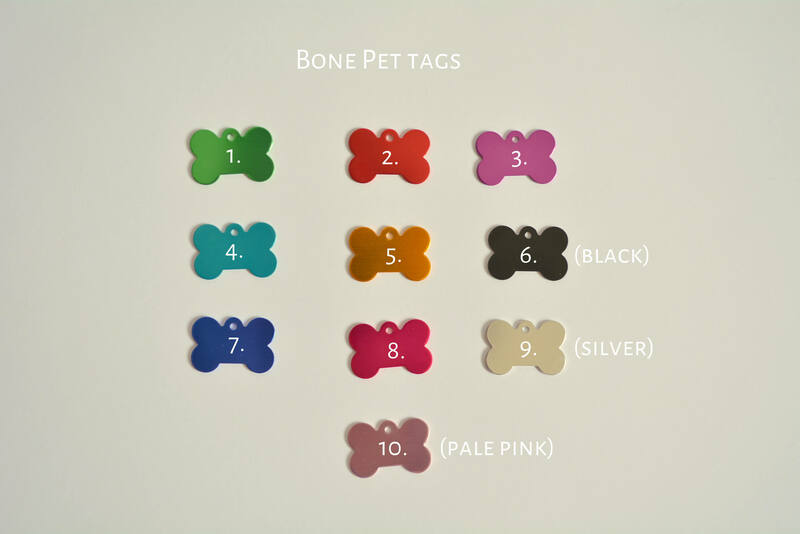 - A bell of your choice: yellow, black, red, pumpkin bell or a pumpkin charm. 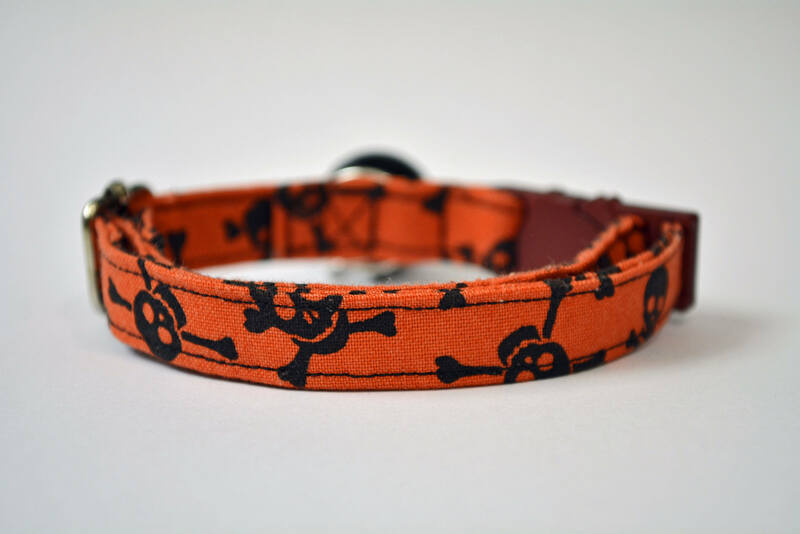 As this is a handmade collar, the placement of image will vary from collar to collar, thus making each one unique in its finished form. Kat m’a tenue informée de l’évolution de mon achat. L’envoi a été rapide. C’est un très joli collier que j’ai acheté pour la période d’halloween pour un de mes chats. Je commanderai de nouveau sans hésiter un autre collier. Thank you very much, Kat! Dustin loves his collar. 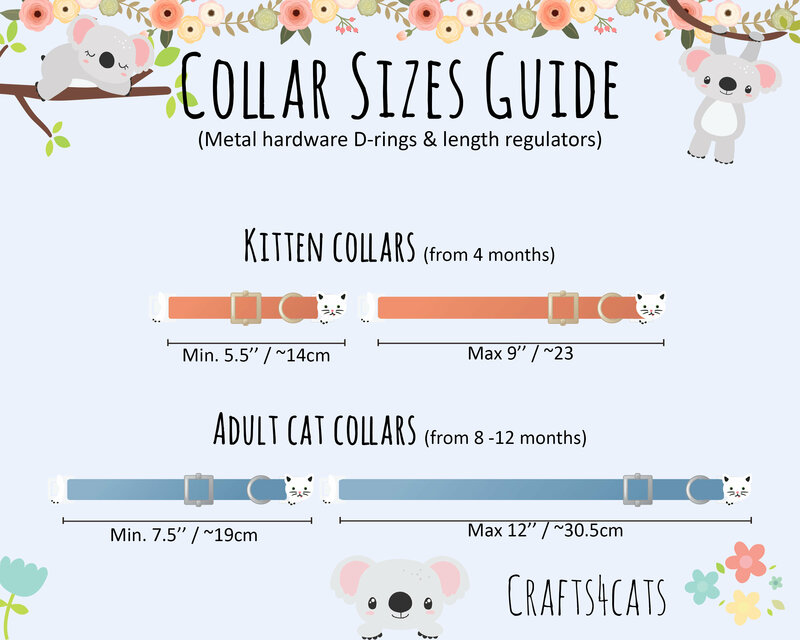 It’s well made and compared to other collars it stays on. 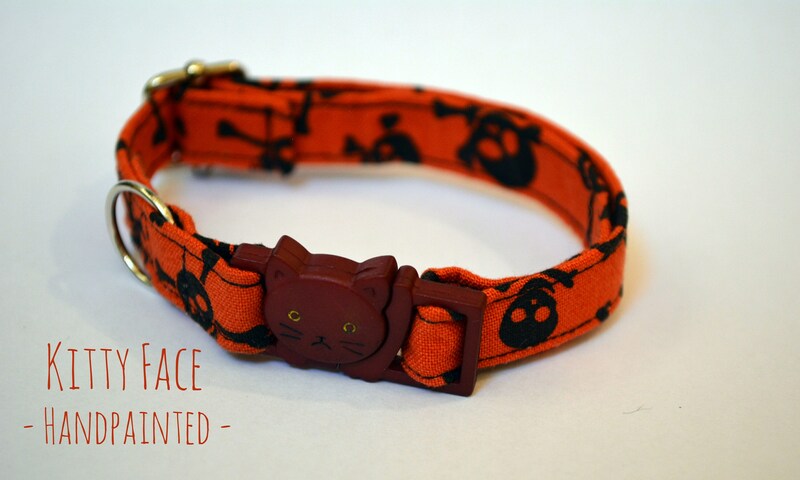 Cute cat face on the clasp is a lovely detail.